DeSantis Landscapes is a pioneer in the business of helping people keep their yards green in the most sustainable ways possible. It’s not just in their offering of organic fertilizers and pesticides, native plants that need less water and irrigation systems that gauge the need for water. DeSantis clients benefit from these practices with healthy soil and air, and a lower water bill. But their sustainable practices are also found behind-the-scenes. A landscaping company cannot do business without a fleet of vehicles and equipment, but DeSantis has taken extra measures to be sure that its fuel use is as minimal as possible and its equipment is as healthy for the employees as for the environment. Sales and management staff drive hybrid vehicles instead of trucks. The company now has four hybrid vehicles, replacing the trucks they drove before and resulting in an estimated $10,000 in gasoline annually from the switch. Two managers telecommute from Portland, eliminating the need to use fuel for the two-hour commute to Salem and back. Over the course of a year, the telecommuting policy saves and estimated $7,000 dollars a year. replaces old trucks with diesel trucks, which run on a cleaner fuel: 20 percent bio diesel. Landscaping equipment that used inefficient two-stroke engines have been replaced with four-stroke alternatives. The result: a quieter and more efficient machine. The older model leaf blower, for example, ranged from 80 to 90 decibels. The new ones are quieter – at 60-70 decibels. And the newer ones reduce emissions by as much as 80 percent. The more efficient machines cost no more than the two-stroke ones, but DeSantis also switched to buying fuel for this equipment in bulk, which saves the company 50 percent in fuel cost. With a fleet the size of DeSantis’, oil changes are a weekly task. In addition to recycling the used oil through ORRCO, DeSantis purchases refined oil at 30 to 40 percent savings. In keeping with it’s effort to reduce fuel use, DeSantis purchased solar panels to offset its use of electricity from coal-fired power plants or natural gas. The solar panels installed on the company’s State Street roof offset 15 percent of the electricity use. Recycling and reusing also have played a role in DeSantis’ sustainability. At their main office on State Street, DeSantis recycles hundreds of nursery pots each month. Intact pots are picked up by a broker who resells them to nurseries. Plastics recycler Agri-Plas collects the broken ones. Items like PVC pipes are saved for one of several special collections Marion County offers each year. DeSantis composts all leaves on site and then uses that compost in landscaping projects. The company saves about $5,000 dollars each year on its garbage service to not haul those leaves away. inoculant that introduces beneficial bacteria, fungi, protozoa and nematodes to the soil. DeSantis employees mix a 200-gallon batch about once a month for use on clients’ properties. Switching to their homemade brew has saved the company 50 percent of the cost of tea. All of DeSantis practices fall under a term coined just for them, by them: EarthSense. Customers understand the value in using a local company that offers sustainable products while also running a sustainable operation. Their EarthSense strategy also extends to the health of their employees. A monthly wellness program educated their 58 employees about health care issues and safetry concerns on the job. 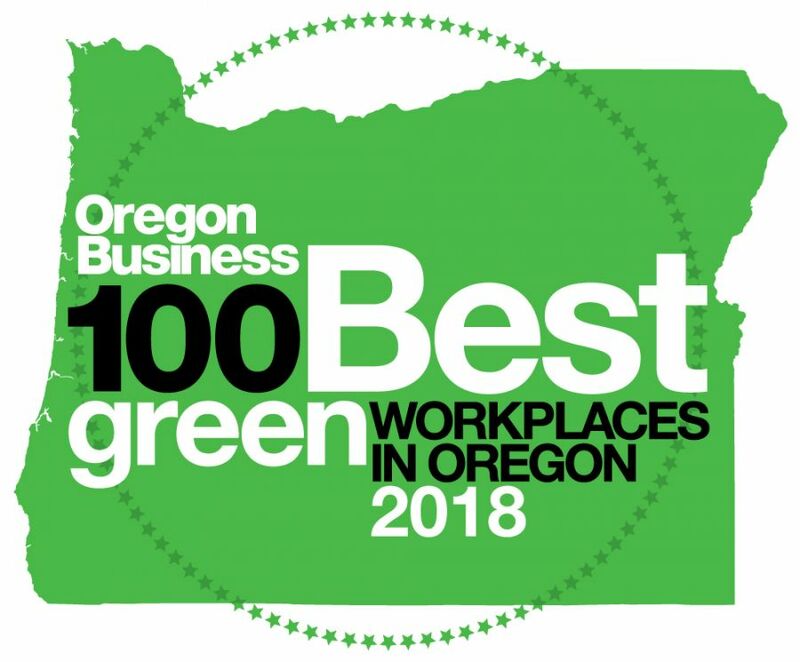 In addition to EarthWISE certification, DeSantis Landscapes has also received Eco-Biz certification from the Portland metropolitan area. Even though DeSantis Landscapes was practicing sustainability before the certification programs even started, the certifications help to verify to customers what DeSantis stands for.